Sky Super 6 Tips – 1 Million Special! 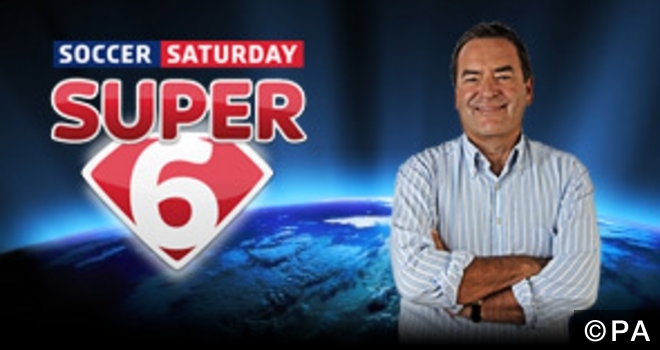 It’s Sky Super 6 Special weekend, giving you the chance to win a £1 Million jackpot!! All you need to do is correctly predict scores of 6 matches and the timing of the first goal. Here, we will run through the 6 chosen matches and provide our valuable input into the scoreline suggestions. Norwich may have managed to get a home draw against West Ham last time out, but they are still in shockingly bad form. They have conceded an average of three goals per game in their last seven matches and have lost six of these encounters. Leicester, on the other hand, will be itching to get over their defeat to Arsenal and extend their lead at the top of the Premier League, so I’m expecting a comprehensive win from an attack minded Leicester side on Saturday. Both Southampton and Chelsea come into this match in a spell of excellent form, but despite Chelsea netting five times against both Manchester City and Newcastle over the past couple of weeks I don’t think they’ll get more than one against the in form Fraser Forster. I think both teams would happily settle for a point in this one, and a 1-1 draw seems to be the most likely result given the recent form of both sides. Stoke may have had a bit of a patchy spell over the last month or so, but the opponents they have faced have been much tougher than Aston Villa. The hosts’ win over Bournemouth last time out will have lifted their heads a bit as well so I’m expecting them to put in a good showing on Saturday. Gianelli Imbula looks like a quality player who will be able to punish Aston Villa as well. A clean sheet will be high priority for Stoke as well after shipping a lot of goals recently, and I don’t think their defence will have any trouble against an Aston Villa side who have only scored 20 Premier League goals all season. Watford have been by far the most impressive promoted team of the bunch this season, but Bournemouth still have a very real chance of remaining in the top flight. However, they are facing a very good side away from home on Saturday, and I think Ighalo and Deeney will be able to break through one of the worst defences in the league with relative ease. The visitors have been good in front of goal this season though, so I think they can grab a goal and give Watford a game, but ultimately I expect the Hornets to get the three points. Birmingham come into this game having only lost one of their last seven outings and coming up against a QPR side who have been struggling to pick up three points. Five of Birmingham’s last seven away days have ended as draws and QPR have seen nine of their last 15 end all square too. Not only this, but six of these nine games have ended 1-1, so a 7th for QPR looks like a good backing to me. Brentford managed to get an impressive 3-0 win in midweek over Wolves and come into this game high on confidence after ending a dodgy run of results. Rotherham have been a bit of a shambles defensively this season and I think that Brentford have the attacking quality to put the hosts’ defence to the sword, so a 2-0 correct score prediction looks good to me.